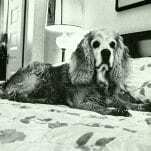 C. Fred’s Story: A Dog’s Life. Bush, C. Fred. Edited Slightly by Barbara Bush (George Bush). 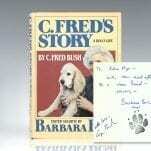 First edition of First Lady Barbara Bush’s children’s book about the adventures of White House dog C. Fred Bush. Large octavo, original cloth, pictorial endpapers, illustrated with photographs throughout. 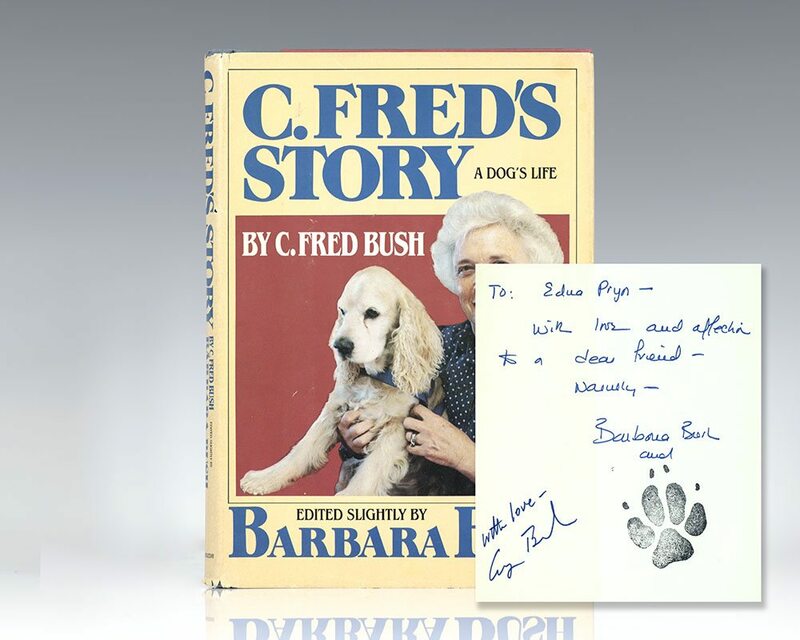 Inscribed by Barbara Bush, “To Edna Pryn – With love and affection to a dear friend – Warmly – Barbara Bush” and President George Bush, “With love, George Bush,” and with a paw print stamp in the likeness of C. Fred’s paw. Near fine in a near fine dust jacket. Dust Jacket design by David Gatti. Jacket photograph by Cynthia Johnson. 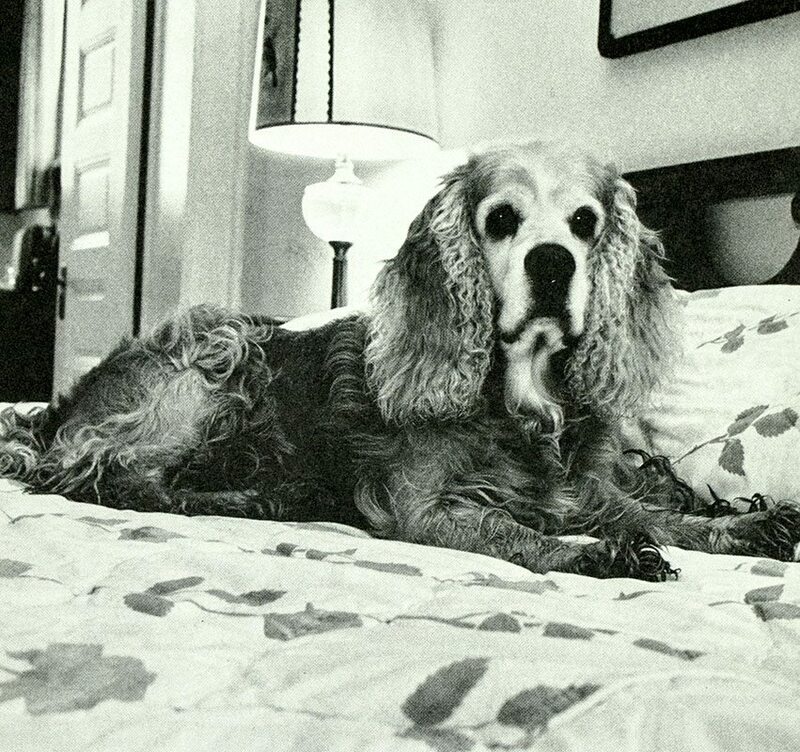 Written during George H. W. Bush's vice presidency, C. Fred's story recounts the 41st United States President's career through the eyes of his family's beloved spaniel. Historian Katherine A.S. Sibley described the book as a "subtle way to get to know the second family" in addition to supporting Barbara Bush's activism in advancing childhood literacy. Bush's biographer Curt Smith wrote that the book cast Barbara Bush in a "sympathetic, down-home, dog and child loving light" and that it led to a "bond over the next third of a century between Mrs. Bush and America that was improbable, even phenomenal."